We ONLY eat fritz – Not Devon. Devon is a type of manufactured meat product sold in Australia and New Zealand. It is usually served in a sandwich, often with tomato sauce and can also be fried in slices. Typical commercial preparations list the major ingredient as “Meat including Pork”. It is usually composed of several types of pork, basic spices, and a binder. 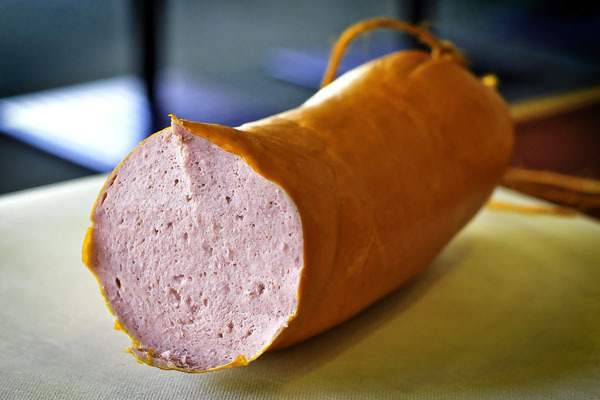 One popular brand, Primo, uses the same ingredient list for both Luncheon and Veal German, with the exception being the addition of red wine powder to the latter, a more expensive, product. 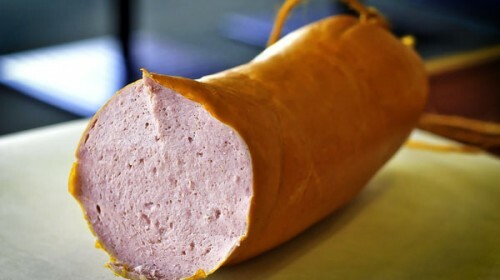 It is referred to as “Polony” in Western Australia, “Luncheon” in Queensland and northern areas of New Zealand, “Fritz” in South Australia and far western areas of New South Wales, “Belgium” and “Devon” in Victoria and East New South Wales. Devon would be classed as “Luncheon Meat” in the UK. It is similar in appearance and taste to boloney. Originally known in some parts of Australia as “German sausage”, this name fell out of favour during World War I when Australia was at war with Germany. In Hungary, it is called “Párizsi” or rarely “Parizer”, and can be bought sliced or in sticks. It is considered to be a cheap meat product.